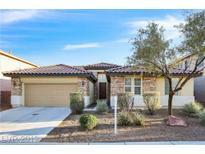 Below you can view all the homes for sale in the Geyser Peak subdivision located in North Las Vegas Nevada. Listings in Geyser Peak are updated daily from data we receive from the Las Vegas multiple listing service. To learn more about any of these homes or to receive custom notifications when a new property is listed for sale in Geyser Peak, give us a call at 702-323-5963. Ceiling fans and window coverings throughout. Beautiful backyard with RV Parking. MLS#2085960. Realty ONE Group, Inc. Desirable North Las Vegas Community*gorgeous Highly Upgraded Single Story*over-sized Yard*over 2000 Sq Ft*high Ceilings*4 Bd*3 Bath*2 Car Garage*custom Granite W/Backsplash In Kitchen*dbl Oven*breakfast Bar*huge Greatroom W/Fireplace*shutters And Ceiling Fans*open Floorplan W/Large Master*spa Like Master Bath*larger Secondary Bds*backyard W/Covered Patio Great For Entertaining W/ Huge Bbq Island* MLS#2079280. Keller Williams Market Place. Fantastic curb appeal in a gated community MLS#2079537. GK Properties. top floor plan in a top community, check out the separated 3 car garage and downstairs bed and bath comfortable family great room with fire place MLS#2077453. Realty ONE Group, Inc.
Large secondary rooms plus casita with separate entrance. A California Exodus Favorite! MLS#2070405. Platinum R.E. Professionals. 1 Bedroom and Bathroom Downstairs. Laundry Room Upstairs. MLS#2005755. Elegant Properties, LLC.